The following article was written by Lisa Pellegrene. Summarizing Slatin, he conveyed that he knows that his early explorations as a child, and the inspiration and curiosity he had then, has fortunately carried forth, accompanying him into and through adulthood, given his life’s work and passion. Slatin discussed visiting and exploring abandoned resorts and hotels in the Catskill Mountains of New York State. He has projects slated in the coming months, to include photographing an abandoned mansion which has historical significance and will include a long distance road trip across the United States that he will document. Thomas Slatin conveyed, that this work, through his writing and photography documenting his upcoming adventures will be featured at TomSlatin.com in the coming months. Slatin was awarded the Dreamiest Website Award by Dreamhost. He is still producing impeccably designed sites which are highly customized and truly one of a kind for his clients, according to industry peers. 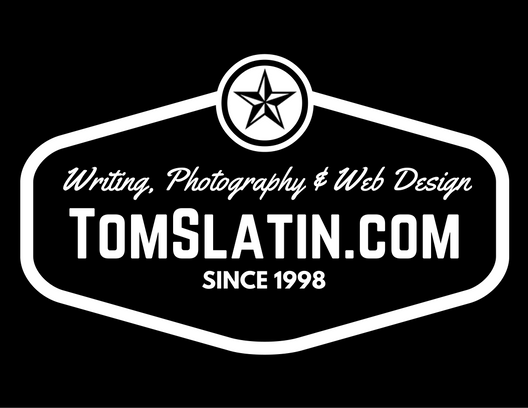 The footer on the blog of TomSlatin.com contains links to his social media accounts. He also listed popular posts and features various guest posts as well, in addition to his intriguing photography and written work. In a recent interview Thomas Slatin was asked if he does journaling and the answer was a resounding, “yes, quite often”. Slatin continued, “less than ⅓ of what I write or photograph makes it onto my blog, it’s either too personal to share or in terms of some of my photography and writing work to include journaling, I choose to archive for publishing at a later date.” A feature article regarding Slatin’s inspiration for writing was published by the Helium Network, and may be found here. He continued, “I attribute this fear to my near obsession with documenting my life experiences simply as a mean of preservation. I did a lot of writing growing up, not taking enough pictures is what I regret.” Concluding, “I make it a point to take many photographs now, as it truly is a way to capture the beauty of moments in time and those precise moments do not come back. Photographs preserve the moment, and bring it to life again, even decades or centuries in the future.” With this viewpoint and profound truthful perception, the importance of photography truly should never be underestimated. Reliving a moment captured in time is in fact made possible through photography.